For the 1969 border conflict, see Sino-Soviet border conflict. Soviet soldiers with captured Kuomintang banners. The Sino-Soviet conflict of 1929 (Chinese :中东路事件, Russian : Конфликт на Китайско-Восточной железной дороге) was an armed conflict between the Union of Soviet Socialist Republics and Chinese warlord Zhang Xueliang of the Republic of China over the Chinese Eastern Railway (also known as CER). 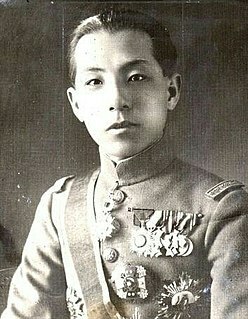 Zhang Xueliang or Chang Hsueh-liang, nicknamed the "Young Marshal" (少帥), was the effective ruler of Northeast China and much of northern China after the assassination of his father, Zhang Zuolin, by the Japanese on 4 June 1928. He was an instigator of the 1936 Xi'an Incident, in which Chiang Kai-shek, the leader of China's ruling party, was arrested in order to force him to enter into a truce with the insurgent Chinese Communist Party and form a united front against Japan, which had occupied Manchuria. As a result, he spent over 50 years under house arrest, first in mainland China and then in Taiwan. He is regarded by the Chinese Communist Party as a patriotic hero for his role in the Xi'an Incident. Lev Mikhailovich Karakhan (Karakhanian) Armenian Կարախանյան Լեւոն Միքայելի, Russian Лев Михайлович Карахан was a Russian revolutionary and a Soviet diplomat. A member of the RSDLP from 1904. 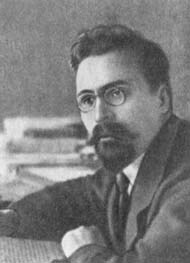 At first a Menshevik, he joined the Bolsheviks in May 1917. The Chinese Eastern Railway or CER(Chinese: trad. 東清鐵路, simp. 东清铁路, Dōngqīng Tiělù; Russian: Китайско-Восточная железная дорога or КВЖД, Kitaysko-Vostochnaya Zheleznaya Doroga or KVZhD), also known as the Chinese Far East Railway and North Manchuria Railway, is the historical name for a railway across Manchuria. The Karakhan Manifesto was a statement of Soviet policy toward China dated 25 July 1919. It was issued by Lev Karakhan, deputy commissioner for foreign affairs for Soviet Russia. The manifesto offered to relinquish various rights Russia had obtained by treaty in China, including extraterritoriality, economic concessions, and Russia's share of the Boxer indemnity. These and similar treaties had been denounced by Chinese nationalists as "unequal." The manifesto created a favorable impression of Russia and Marxism among Chinese. It was often contrasted with the Treaty of Versailles (1919), which granted Shandong to Japan. The Chinese entertained joint management until mid-1929. The change from Soviet control to Chinese control started when the Chinese authorities made a radical move to try to remove Soviet management. Chinese authorities stormed the Soviet Consulate in Harbin. They arrested the General Manager of the CER, his assistant and other Soviet citizens and removed them from power in the CER. The Soviets retaliated by arresting Chinese citizens inside the USSR. On July 13, 1929, the Soviets sent their formal demands to the Chinese concerning what was happening on the CER. On July 19 they discontinued their diplomatic relations with the Chinese. They suspended railway communication and demanded that all Chinese diplomats leave Soviet territory. By July 20 the Soviets were transferring their funds to New York. While in the cities of Suifenhe and Lahususa, the Soviets were terrorizing the Chinese civilians by having their warships' guns pointed at the city and having their planes make fly-bys. On 6 August, the Soviet Union created the Special Red Banner Far Eastern Army commanded by Vasily Blyukher. By doing so they were willing to do whatever it took to return the CER back to their control. 1 2 3 4 5 6 Bisher (2005), p. 298. ↑ Jowett (2017), pp. 63, 64. ↑ "Нечаев Константин Петрович" [Nechaev, Konstantin Petrovich]. Hrono.ru (in Russian). Retrieved 13 July 2018. 1 2 3 4 5 6 Jowett (2017), p. 65. ↑ Jowett (2017), p. 66. ↑ Jowett (2017), p. 62. ↑ Jowett (2017), p. 63. 1 2 Jowett (2017), p. 76. ↑ Krivosheev, G. F. (1997). "Soviet Casualties and Combat Losses in the Twentieth Century". Page 370, Table 111. ↑ Michael M. Walker, The 1929 Sino-Soviet War: The War Nobody Knew (Lawrence: University Press of Kansas, 2017), p. 1. Bisher, Jamie (2005). White Terror: Cossack Warlords of the Trans-Siberian. London, New York City: Routledge. Elleman; Bruce A.; The Soviet Union's Secret Diplomacy Concerning the Chinese Eastern Railway, 1924–1925; Journal of Asian Studies, Vol. 53 (1994), S. 459–68. Jowett, Philip S. (2017). The Bitter Peace. Conflict in China 1928–37. Stroud: Amberley Publishing. ISBN 978-1445651927. Lensen, George Alexander; The Damned Inheritance. The Soviet Union and the Manchurian Crises. 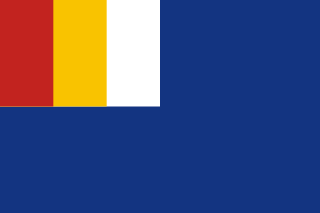 1924–1935, Ann Arbor 1974. Walker, Michael; The 1929 Sino-Soviet War; Lawrence Ka. 2017 (University Press of Kansas). The Northern Expedition was a military campaign launched by the National Revolutionary Army (NRA) of the Kuomintang (KMT), also known as the "Chinese Nationalist Party", against the Beiyang government and other regional warlords in 1926. The purpose of the campaign was to reunify China, which had become fragmented in the aftermath of the Revolution of 1911. The expedition was led by Chiang Kai-shek, and was divided into two phases. The first phase ended in a 1927 political split between two factions of the KMT: the right-leaning Nanjing faction, led by Chiang, and the left-leaning faction in Wuhan, led by Wang Jingwei. The split was partially motivated by Chiang's purging of communists within the KMT, which marked the end of the First United Front. In an effort to mend this schism, Chiang Kai-shek stepped down as the commander of the NRA in August 1927, and went into exile in Japan. The Mongolian People's Republic, was a unitary sovereign socialist state which existed between 1924 and 1992, coterminous with the present-day country of Mongolia in East Asia. It was ruled by the Mongolian People's Revolutionary Party and maintained close links with the Soviet Union throughout its history. Geographically, it was bordered by China to its south and the Soviet Union to its north. The Boxer Protocol was signed on September 7, 1901, between the Qing Empire of China and the Eight-Nation Alliance that had provided military forces plus Belgium, Spain and the Netherlands after China's defeat in the intervention to put down the Boxer Rebellion at the hands of the Eight-Power Expeditionary Force. It is often regarded as one of the Unequal Treaties. Manzhouli is a sub-prefectural city located in Hulunbuir prefecture-level city, Inner Mongolia Autonomous Region of China (PRC). Located on the border with Russia, it is a major land port of entry. It has an area of 696.3 square kilometres (268.8 sq mi) and a population of almost 250,000. The Sino-Soviet Treaty of Friendship, Alliance and Mutual Assistance, or Sino-Soviet Treaty of Friendship and Alliance for short, is the treaty of alliance concluded between the People's Republic of China and the Soviet Union on February 14, 1950. It was based to a considerable extent on the prior Treaty of the same name that had been arranged between the Soviet Union and the Nationalist government of China in 1945 and it was the product of extended negotiations between Liu Shaoqi and Joseph Stalin. By its terms the Soviet Union recognized the People's Republic of China and recalled recognition of the Republic of China. Sino-Soviet relations refers to the diplomatic relationship between the Chinese Republic and the various forms of Soviet Power which emerged from the Russian Revolution of 1917 to 1991, when the Soviet Union ceased to exist. 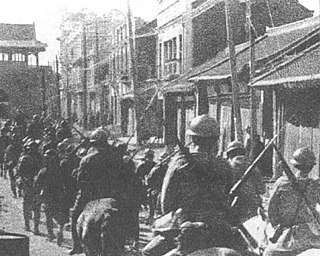 The Huanggutun Incident, or Zhang Zuolin Explosion Death Incident, was an assassination plotted and committed on June 4, 1928, by the Japanese Kwantung Army that targeted Fengtian warlord Zhang Zuolin. It took place at the Huanggutun Railway Station near Shenyang, where Zhang's personal train was destroyed by a railside explosion. This incident was concealed in Japan at the time and was referred only as "A Certain Important Incident in Manchuria". The Treaty of Friendship and Alliance is a 1945 treaty signed by the Nationalist Government of the Republic of China and the Union of Soviet Socialist Republics at 14 August 1945. At the time, Soviet and Mongolian troops were occupying Inner Mongolia and other Chinese territory, having seized it from the Japanese during World War II. In a declaration made in connection with the treaty, China accepted the independence of Outer Mongolia within its previous borders, provided that a referendum on the issue be held and that the Soviet Union ceased aiding the Chinese Communist Party. Furthermore, the two nations agreed upon joint control of the Chinese Eastern Railway and to facilitate its eventual return to full Chinese sovereignty. Harbin–Manzhouli railway, named the Binzhou Railway, is a double-track electrified trunk railway in Northeast China between Harbin and Manzhouli on the Russian border, where it connects to the Trans-Siberian Railway via Zabaikalsk, Russia. The 21st Rifle Division was an infantry division of the Russian Soviet Federative Socialist Republic and then the Soviet Union's Red Army, active between 1918 and 1945. On December 31, 1952, the Soviet Union returned full control of the Chinese Eastern Railway to the People's Republic of China. The return of the railway marked the first time that the China Eastern Railway had been under full Chinese control since the railway was constructed in 1898. The handover of the railway was the result of negotiations between the Soviet Union and the People's Republic of China culminating in the signing of the Sino-Soviet Treaty of Friendship, Alliance and Mutual Assistance. The Friendship Treaty stipulated that the Chinese Changchun Railway (CCR) be handed over to China no later than December 31, 1952. On that date, China received all of the assets of the Chinese Changchun Railway including 3,282.7 kilometers of railway lines, 10,200 railcars, 880 locomotives, power plants, heavy industries, and coal mines as well as houses, medical facilities, and schools. The transfer of this fully operable railway gave the People's Republic of China control over a politically and economically significant rail line. The Chinese Changchun Railway connected the national railway system to the important ports of Dalian, and Lüshun as well as to international border crossings with the Soviet Union and to North Korea. The Warlord Rebellion in northeastern Shandong was an uprising of several allied Chinese warlord armies under the leadership of Zhang Zongchang in 1929. The rebels wanted to regain their former territories in Shandong from Liu Zhennian, the man who had defected from Zhang to the Nationalist government in Nanjing during the Northern Expedition. After some initial successes, the rebels were defeated due to the indiscipline of their forces. In the end, the uprising failed to topple Liu Zhennian's rule over eastern Shandong, but resulted in high civilian casualties and widespread destruction at the hands of both sides in the conflict. The Han–Liu War was a major military conflict in late 1932 between the private armies of Han Fuju and Liu Zhennian over Shandong. Even though Han as well as Liu were officially subordinates to the Chinese Nationalist government in Nanjing, both were effectively warlords with their own autonomous territories. Han Fuju controlled most of Shandong and had long desired to also capture the eastern part of the province, which was held by Liu. The tensions between the two eventually escalated, leading to a war that saw Han emerge victorious. He went on to rule Shandong unopposed for the next six years, while Liu was exiled to southern China. Konstantin Petrovich Nechaev was an Imperial Russian Army officer and White movement leader, who commanded a large Russian mercenary army in China from 1924 to 1929. Fighting for the Fengtian clique warlords Zhang Zuolin and Zhang Zongchang, Nechaev took part in several wars of the Chinese Warlord Era until his mercenary force was destroyed in the Northern Expedition. Thereafter, he mostly retired from military service and became a White émigré community leader in Manchuria. Captured by SMERSH during the Soviet invasion of Manchuria, Nechaev was executed by Soviet authorities in 1946.